Kish went out to the grocery store the other day and came back with some Diet Coke — but it doesn’t look like any Diet Coke I’ve ever seen before. This version is packaged in much taller and skinnier cans than were previously used. The cans are almost as tall as your standard bottle of bottled water and about a third skinnier in diameter. The redesign of the Diet Coke can seems like smart marketing to me. If you’re trying to sell your product to people who are watching their calories, why not design a package that fits better with the known aspirations of the purchaser? 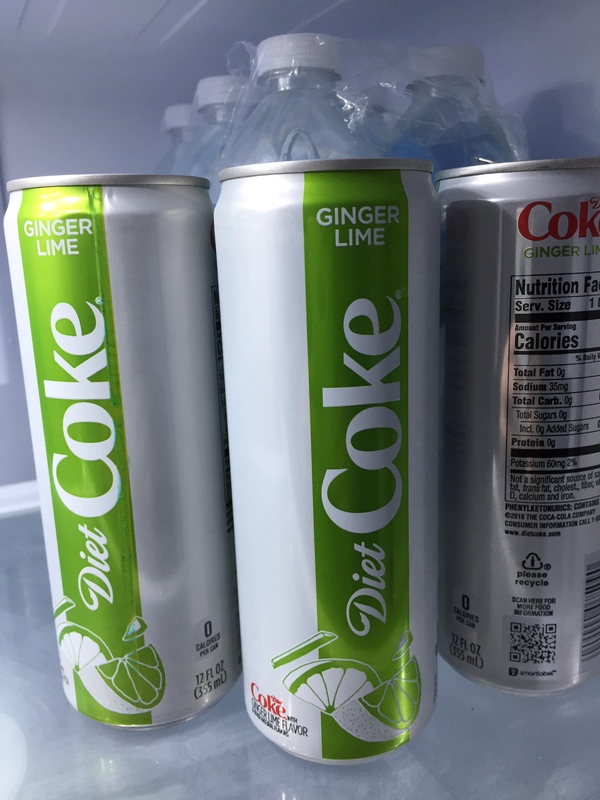 If you were hoping to lose a few pounds and were buying some Diet Coke as part of that process, which product design would be more appealing to you: the squat, sturdy cans that used to be the standard, or these new cans that are notably willowy and elegant by comparison? Would you rather take a swig from a thickset, brick-like can, or grasp a cool, slender can that looks like it might float away on a light breeze? I’m guessing that the marketing tests that inevitably were part of the process of rolling out the new can design showed that a lot of purchasers preferred the decidedly leaner cans because the purchasers are hoping to be decidedly leaner, too, one of these days. When I saw the new Diet Coke cans it reminded me of the introduction of Virginia Slims cigarettes years ago. Virginia Slims were considerably longer, and skinnier, than standard-sized cigarettes; they almost looked like you were using a cigarette holder. The advertising campaign for the new brand inevitably showed lissome, obviously sophisticated women clad in evening gowns having their Virginia Slims being lit by handsome gentlemen in tuxedos at elegant parties. The slenderness of the cigarettes was a consciously planned part of the product — as the name of the brand confirmed — and it was all designed to capture the aspirations of a segment of the smokers’ market. I don’t know if they still sell Virginia Slims, but I’m guessing the new Diet Coke design will be a success. If you want to be thinner, why not buy thinner? Now, what’s with the ginger-lime flavor of this product that Kish brought home?